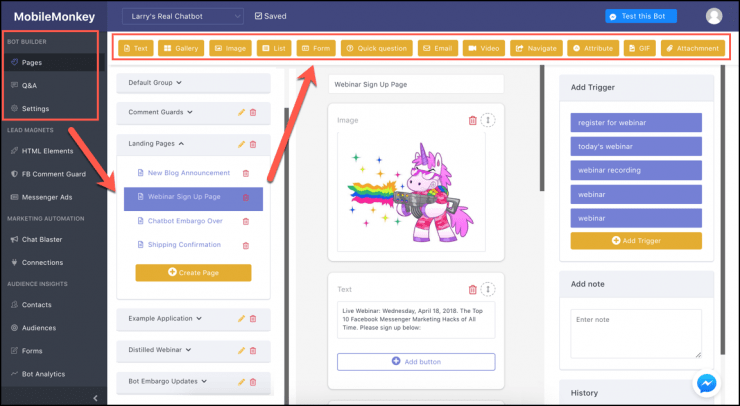 We’ve built the most intuitive and easy-to-use platform for creating interactive, mobile Facebook Messenger marketing experiences in minutes. Build your first bot in 5 minutes with MobileMonkey’s drag-and-drop interface! MobileMonkey chatbots are a series of Facebook Messenger chat pages triggered based on what the user types or selects. 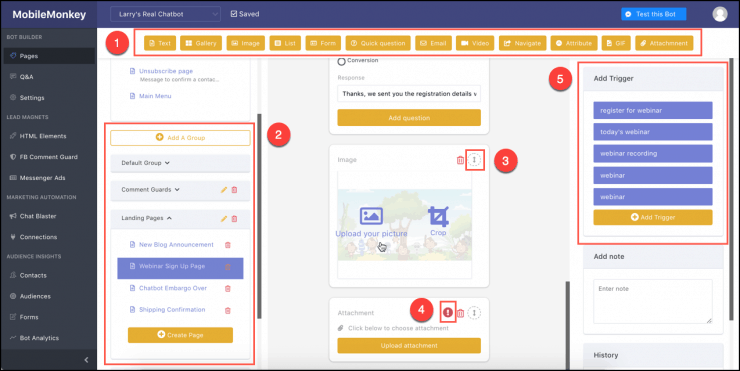 Using the Chatbot Builder, make a chatbot with quick qualifying questions, forms, images, text, GIFs and more. Check out these chatbot templates and this chatbot training. 1. Select from chat widgets for images, animated GIFs and more into your Facebook Messenger funnels. 2. Organize your content into groupings like folders that support intuitive workflows for easy, speedy Facebook Messenger chatbot creation. 5. Set trigger keywords for your Facebook Messenger chat pages with a click! The content experience of an interactive chatbot is not possible with email and is more seamless than a mobile web experiences. 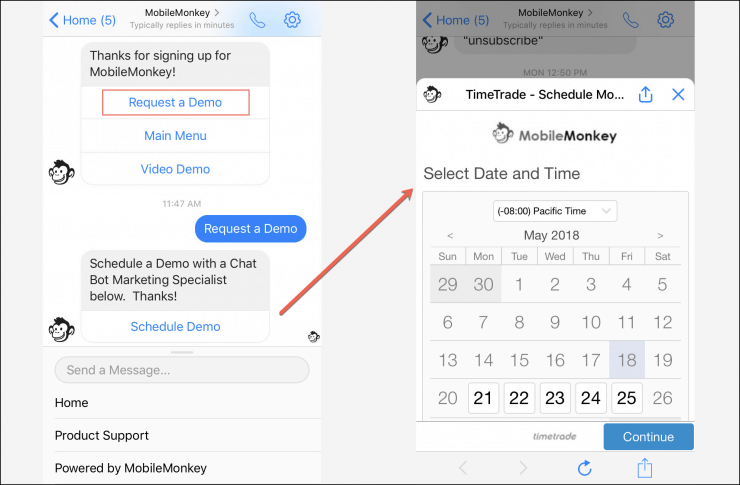 With MobileMonkey, you can create dynamic content like quick surveys, appointment scheduling and reminders that are more engaging than regular email. MobileMonkey employs the world’s best user experience engineers who have created a fool-proof Facebook Messenger chatbot builder. MobileMonkey is free to use and a breeze to try!